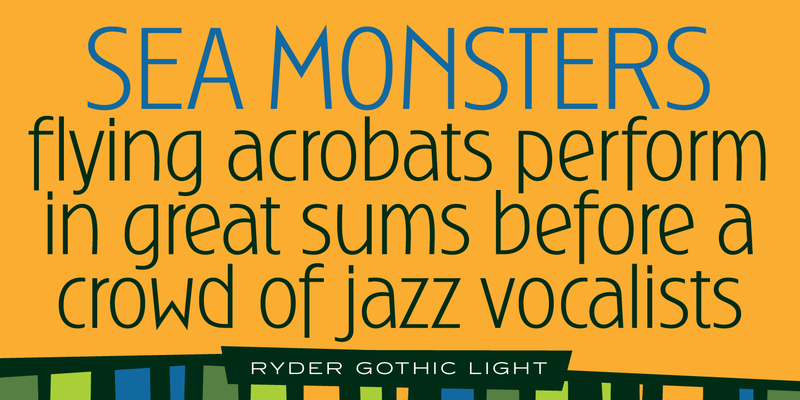 Ryder Gothic is a condensed sans serif font family designed by Steve Jackaman (ITF) and Ashley Muir 2010. 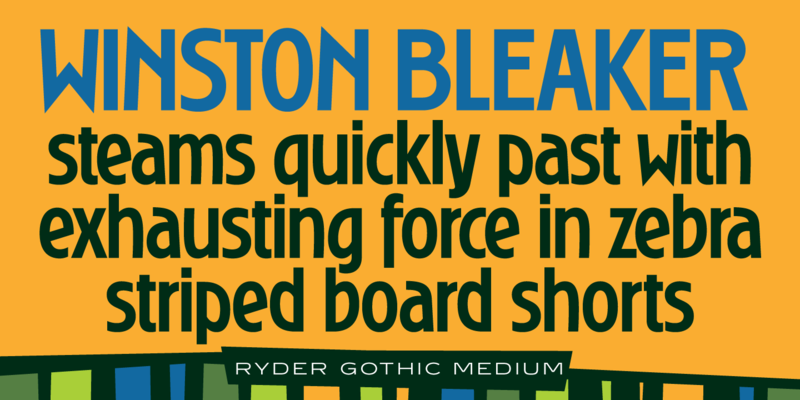 The family is a revival based on the Harry Winters’ ‘Roslyn Gothic’ typeface released by Visual Graphics Corporation (VGC) in 1972. 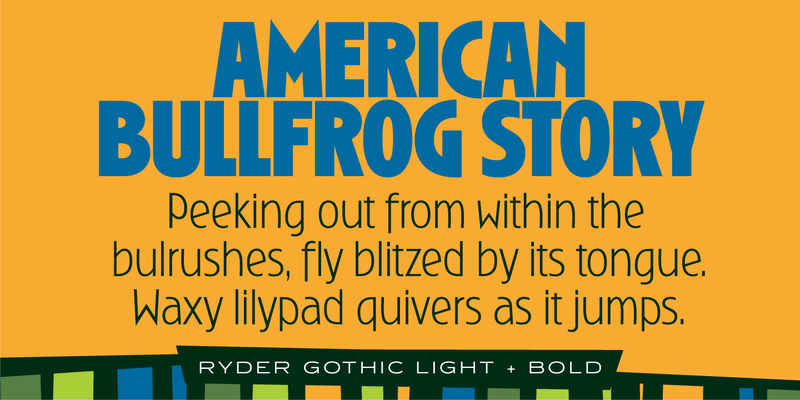 Jackaman and Muir added a new light weight and several alternate glyphs. 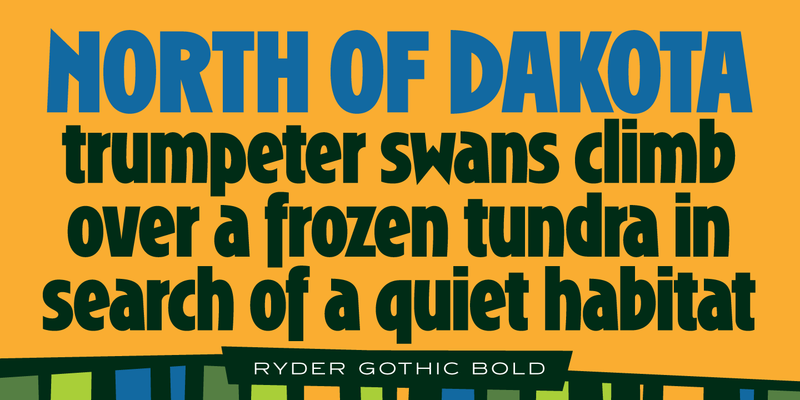 Ryder Gothic has a casual, modern, and/or playful feel that is right at home in all sizes. 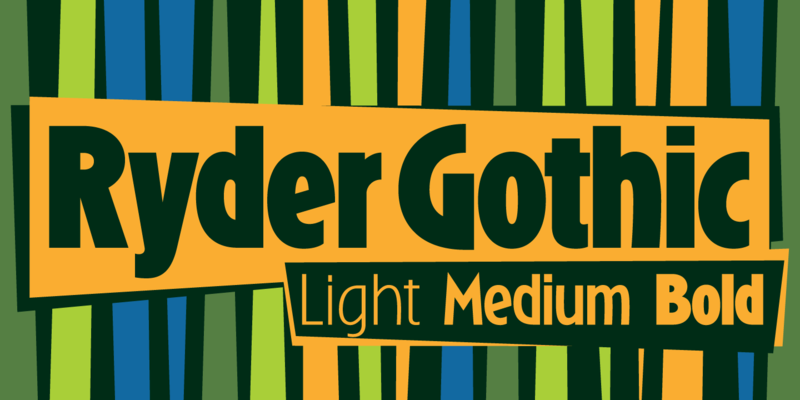 Ryder Gothic Pro is a trademark of International TypeFounders, Inc.